Live from A-Nation 2010. Jaejoong / Jejung focus. 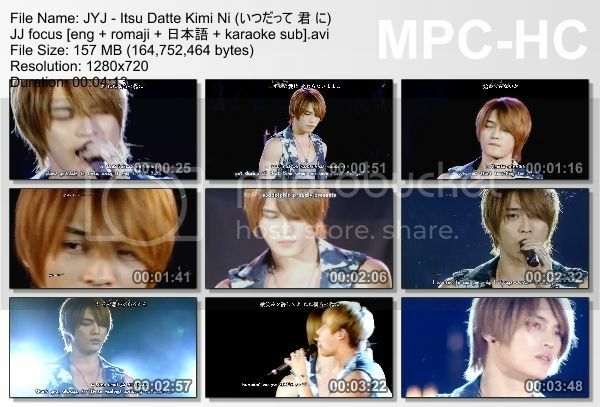 Thank you so much for this JaeJoong focus part. Could you pls. sub "Get Ready" and "Long Way" also from A-Nation 2010. They are very energetic performance. Thanks so much. Appreciate all your sweat and effort. Thanks for the link to Long Way. Thanks for 'Get Ready'. No worries, take your time. I understand you are juggling subbing the videos with work. Thank you for the understanding, Joanne. :) I'm afraid it can take months, years even.. And JYJ's new dvd concert just came out too, and I'm waiting for my copy to arrive and I will start subbing that first..